-Dear Abdugheni Sabit, firstly, can you tell us, what are you doing now about East Turkistan issue? As we know you are an activist. Can you give us some information about your activism, your studies and your struggle in this issue? As salamu alaykum wa rahmatullahi wa barakatuhu. Firstly I would like say thank you for giving me this opportunity in your platform to speak the oppressed East Turkistani people’s grievance and I wish to you all have good Ramadan. May Allah fulfill the one who urgently need help. As you know that the China’s occupation of East Turkistan since 1949 and they changed its name into Xinjiang Uyghur Autonomous region (which means new land or new frontier). The Uyghurs are majority population of East Turkistan. In the East Turkistan, situation getting worse day by day. If you daily search about the Uyghurs or anything related in Google, you can find much unfortunate news. As for me, I am highlighting the plight and oppression of Uyghur Muslims. I’m actively involved with my cause offline via protests, events etc. and on live via social media. We have started our project: Talk to East Turkistan. -In Turkey, nearly all of the population keep up with Turkistan issue more or less. But their information about issue inadequate, you know. Can you give us information about general situation in East Turkistan, especially about current situation? In October of 1949, the Chinese People’s Liberation Army invaded East Turkistan Republic. The communist China defeated the East Turkistan fighters after encountering six years of fierce resistance and formally annexed East Turkistan into its territories and renamed it “Xinjiang”. On October 1, 1955 declared Xinjiang Uyghur Autonomous Region of China. The Chinese communist reign in East Turkistan can be considered the darkest chapters in the history of Uyghurs and East Turkistan. Under the current conditions, the very existence of Uyghur nation is under threat. The Chinese communist government has been carrying out a vicious campaign and ethnic genocide against Uyghurs and other indigenous people of East Turkistan in order to permanently annex the lands of East Turkistan. Despite all the brutal and destructive campaigns by the Chinese government against the identity and existence, the Uyghurs and other indigenous people of East Turkistan refuse to be subjugated by China and are carrying on resistance torch, handed down to them by their ancestors, against Chinese occupation. Approximately over 20 million Uyghurs live in East Turkistan. The Uyghur language is mother language of Uyghurs and Uyghurs are Sunni Muslim and majority in East Turkistan. I would sum up the current situation of East Turkistan. The banning of the traditional Uyghur attires. The de-legitimization of Halal foods. The Chinese government has speeded up its assimilation policies towards the Uyghurs by introducing so called ‘’ becoming family ‘’ campaign in the Uyghur populated areas. The Chinese government has been trying to destroy some other aspects of the Uyghur culture too. The demolishing of historical Uyghur buildings. The Chinese oppression in East Turkistan is countless, I can’t count all of them. -In our country, Turkey and rest of the world, there is information pollution in Turkistan issue. And when ordinary people read news about Turkistan, they can’t believe the situation is like that. You know, what happening in Turkistan is unimaginable and sometimes people can think information on internet about this topic isn’t real. When we, journalists, narrate ordinary people this issue, and share information about Chinese regime’s oppression, they can think it’s unreal. Especially about “homestays”and “forced marriages”. Can you give us detailed information about Chinese regime’s practices, specially “homestays” and “forced marriages”? Firstly, we don’t have any independent English or Arabic media in our homeland or abroad and also any foreign media are not allowed to access and cover the issues happening there because of the strict rule of Chinese government. For example, any foreigner who tries to talk local peoples the locals always avoid themselves talking their political conditions because they know that the Chinese spies follow them and also the Chinese government constantly intimidate Uyghurs not talking to foreigners. Secondly, China don't spread any information about us, except about terror-like activities, which mostly cannot be considered as terror attacks if you compare what is happening in other places. Because China call all those local clashes or disagreements between citizens in East Turkistan as terrorist attack, whereas such clashes do happen 100 times more in other Chinese cities too. Thirdly, Chinese hire some foreign journalists to write good things about China and slandering the people of East Turkistan. For example, some journalists from Pakistan and Turkey as like Abdullah Bozkurt and Banu Avar. China has been introducing Uyghur Muslims to the Muslim world as the secularist, uneducated, backwards and superstitious people and introducing the Uyghurs to western world as like extremists and terrorists. Another important point is that there are two kinds of majority Muslim groups living in China, one is Turkic speaking Uyghurs and the other is Han speaking Hui or Chinese Muslims. Uyghurs are different race than the Chinese and as I mentioned above we have our goal of freedom from this communist regime from the history. But, Hui Muslims have never been an independent state. And they always lived together with the Chinese, because they share many cultural characteristic with the majority Han Chinese apart from religion. Therefore, Hui Muslim enjoy more freedom than Uyghurs: They can freely practice Islam and the Chinese government invited some Muslim scholars in Hui Muslim region, as like Ningxia and Yinchuan because they want to show that they treating Muslims fairly in China. This fact is very confusing and unknown to the rest of the Muslim world because there are not much genuine information is available from China and Chinese Muslims towards the other countries or Muslims. So, China is a liar. About homestay , the aim of such campaign is described as ”helping Uyghurs to improve their lives and improve the understanding between the Han Chinese and Uyghurs”. With this campaign, Han Chinese officials are placed in Uyghur and Kazakh households regardless of their difference in culture, religion and other backgrounds. Therefore, the Uyghurs are forced to live with the assigned Han Chinese officials and share every aspects of their lives with them for a week, in order to show the harmonious picture of both sides to the government. Most importantly, the Han officials have to keep a close eye on and make record of their “Uyghur relatives’” political views as well as all their behaviours inside their own homes. Some photos and news related to such special relationships became available on various social media, more frequently around the Chinese New Year period. To follow the government orders, Uyghur families were forced to adjust their life styles to their “assigned relatives”, decorate their homes with celebration banners written in Chinese, and prepare Chinese traditional foods to eat together. Furthermore, it is not a hidden fact that the Uyghurs were encouraged to marry Han Chinese nationals. The benefits of such inter-marriage is being widely publicized, including financial assistance to build homes for the couples, children’s education and future job opportunities. Therefore, forced inter-marriages have also been used as a propaganda tool by the Chinese government to assimilate the Uyghurs by force. See, for example. Two week ago I met an Uyghur woman whose sister forced to marry the Han Chinese. Here is links. We encouraged her to speak to the Journalist but she was afraid. If she gives interview to the journalists her family members will be harmed by Chinese government. -Is the levels of oppression are equal in rural areas and cities? I mean, can Chinese regime apply it’s assimilation policy in all cities, towns, villages and rural areas? Is their influence in region widespread? The Chinese regime has applied its assimilation policy throughout East Turkistan. Before September 11, 2001, people of Urumqi in the capital of East Turkistan had enjoyed little bit freedom because Chinese wants to show to the international community that they give freedom to the locals but after September 11 everything dramatically changed. China’s crackdown turned increasingly vicious when the United States declared its “War on Terrorism” in 2001, with China seizing the opportunity to erroneously portray Uyghur Muslims as one-part of the global Islamic insurgency, going so far to tie Uyghur nationalist dreams with the goals of the terror group al-Qaeda. In doing so, China gambled that it could pretty much do whatever it pleased to Uyghur Muslims, so long as it could dupe Western states into believing it, too, was at war with “radical Islam”. -Can you describe us “re-education camps” of Chinese regime? In mainstream media, there is a little information about this topic but these information is unsatisfying and far from describing real situation? The most urgent issue today is the detention of around one million of East Turkistani people in “re-education camps” in East Turkistan. Since April 2017, China began rounding up Uyghurs and other ethnic Turkic people by the thousands of detention in “re-education” camps. Many media organizations around the world have recently reported that a large portion of the Uyghur population is being detained either in jails or in so-called “re-education camps”, while their children are being kept in countless orphanages in the East Turkistan. Recently, we have learned from official sources inside East Turkistan that the number of the Uyghurs currently being held in these Nazi-style political “re-education” concentration camps is more than 800,000. That is a number known officially inside East Turkistan, but all the unofficial numbers we obtained from various sources exceed one million. The conditions of the concentration camps are horrific because of the fact that such a large number of Uyghurs are locked up in relatively small and crowded spaces. We were told by several people who fled China recently that people even cannot lie down during the night with their backs on the floor; instead, they have to sleep sideways with all the adjacent bodies touching one another. We have also learned from some Uyghurs who recently lost their close relatives in the concentration camps that a significant number of Uyghurs are losing their lives in those camps every day. The families of the victims are just receiving their dead bodies from those overcrowded concentration camps. The local authorities are not giving back the bodies of the younger Uyghurs died, instead, just burying them in the nearby empty fields. These are just a few of the many examples of the horrible conditions in these concentration camps. Further info please watch this video. -Can you describe in detail, how is Ramadan month in East Turkistan? And how is Islamic life in general? Anyone who works for government such as civil workers, teachers, students and who is under 18 years old cannot fast during the Ramadan. It is ordered by the Chinese government. If any of these people are being discovered by the local inspectors, at the , they will be forcibly open their fast, cutting their salaries etc. Then, if they are insisted fasting, they would be punished by different measures such as jail imprisonment, send out for labour education or to be fired from their work. But some people can fast secretly. About the farmers, they are able to fast during Ramadan, but their Islamic activities also under strict control of the communist party members. And also Communist party leaders to watch are there any young people or government workers have joined their prayers too. In addition, the local government arrange propaganda style of singing and dancing in order to praise the communist party and its beneficial policies towards peoples in East Turkistan since their so called liberation. Also, they have to attend the rising national flag ceremony in their local mosques too. School children have to come to school in order to attend the rising Chinese national flag ceremony on the occasions of Eid, Fridays even during the summer or winter vocation periods. -What are you think about Muslim countries’ stances in front of Turkistan issue ? Are they supportive, careless or opposite to? You know, nearly all of Muslim countries have good relations with China. I want to learn your opinion about Muslim countries’ stances, especially Turkey, Qatar, Iran, Saudi Arabia, Egypt and Pakistan. Muslim countries are close allies of China, for example, Pakistan and other neighbouring countries are members of Shanghai cooperation organization against terror, and other Middle East countries have good ties with China because of their economic development. In addition, China is a globally rising power and their aim is to become a global leader and they would like to buy everything using their money. Muslim countries haven't got enough power to deal with China. Also, China has double standard policy for Muslims and Muslim countries about what to do in specific occasions. The most Muslim countries have their internal problems. In fact as you know these days every country prior to think their own benefits. 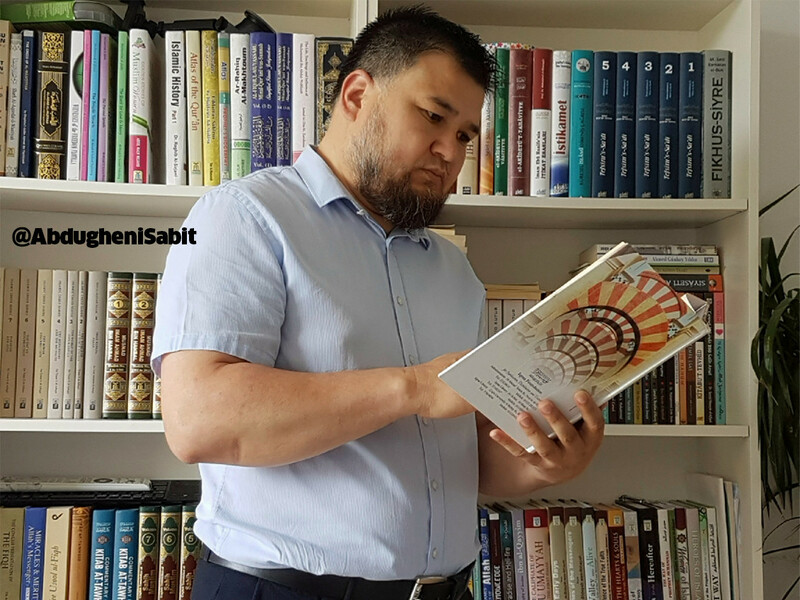 I have written many letters to the Muslim scholars as like Sheikh Yusuf Al Qaradawi , Sheikh Ismail Musa Menk and Dr Yasir Qadhi asking them to help the highlight the East Turkistan Muslim’s issue, unfortunately nothing has heard in response. But some scholar like Dr. Abdullah Hakim Quick, Dr. İhsan Şenocak and Muhammed Emin Yıldırım respond, May Allah reward them. -In addition to seventh question, I want to know your opinion again in those topics. One of them is some deportations of Uyghurs in Turkey to China and Central Asian regimes. Second one is, Iran’s policy towards East Turkistan issue. There are some informations about Iran regime trying to spread Shia ideology in region with the cooperation of Chinese regime. Can you tell your opinion? Yes there is some news spreads that Turkey has deported some Uyghurs to China but that news didn’t confirmed. I contacted Uyghur organization in Turkey, they said that “ that is a rumour” because Chinese always spread gossips in social media because they want to damage between the Uyghurs and Turkish people’s brotherhood. As I know that the Turkish people love and care about people of East Turkistan. May Allah reward them. Since years the central Asian countries, Pakistan and some Middle Eastern countries handed over innocent Uyghur refugees to Chinese regime. I urge them to fear Allah. China and Iran have been cooperating each other since many years. We heard that recent years some Shia sect has appeared in East Turkistan. -What can human rights activist and other Muslims do about Turkistan issue? I hope Muslims around the world can pray to Allah in their daily pray to the Muslims in East Turkistan and try to reach our cause and use their media and available tools to understand and introduce Uyghur Muslims’ tragedies to the other people around them and expose China's lies. Speak out East Turkistan Muslims plight, write about them, talk about them in their lectures, visit East Turkistan if they can, learn and discuss our unfortunate situations in international conference and contacting with their governments to seek some hope and help. I think Muslims should be united to resolve issues among themselves and also help each other to improve all of our conditions as a whole. 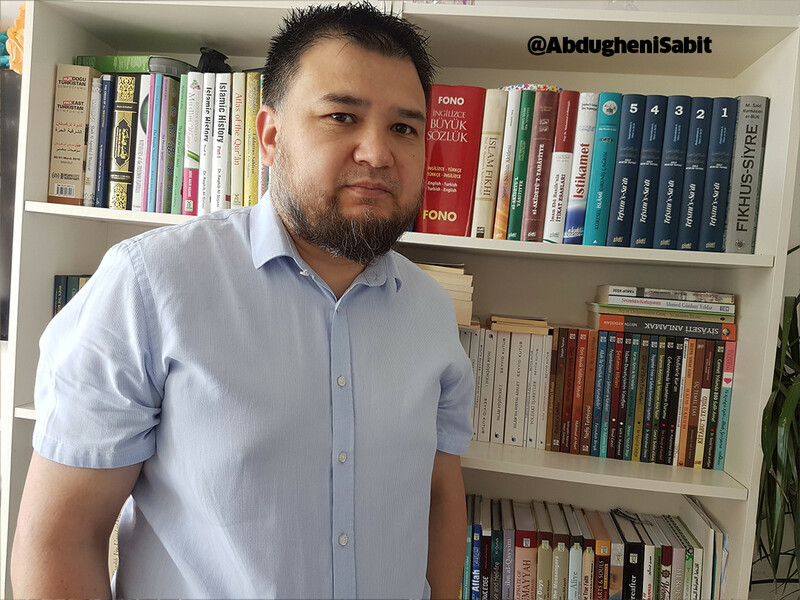 Expressions in interview are opinions of Uyghur activist Abdugheni Sabit and these opinions couldn't represent editorial policy of Mepa News.